Is Civil Government the Only Form of Government? Sovereignty: Who is in charge? Authority: To whom do I report? Law: What are the rules? Sanctions: What will happen if I obey or disobey those rules? Succession: Will this outfit have a future? Thus, there are several cultural institutions that have these five points in working order; the individual, the family, and the church. These institutions have their own rules, their own guidelines, for their members, there is a chain of command, always someone to report to, definite sanctions (in most cases) and a succession has been established. These government co-exist, but, unlike the civil government, allow their members to leave at anytime, unless there has been a contract arranged. The individual can submit himself another individual (like an employer) or he can work for himself. However, he always has someone to report to; God or another individual (such as a customer or client). The family works as a separate unit; the children report to the parents, and the parents make the rules, and determine the sanctions, but they have the right to determine if they submit themselves to a church or civil authority or not. Does the Civil Government let you leave its jurisdiction without its say-so? I’m afraid not. 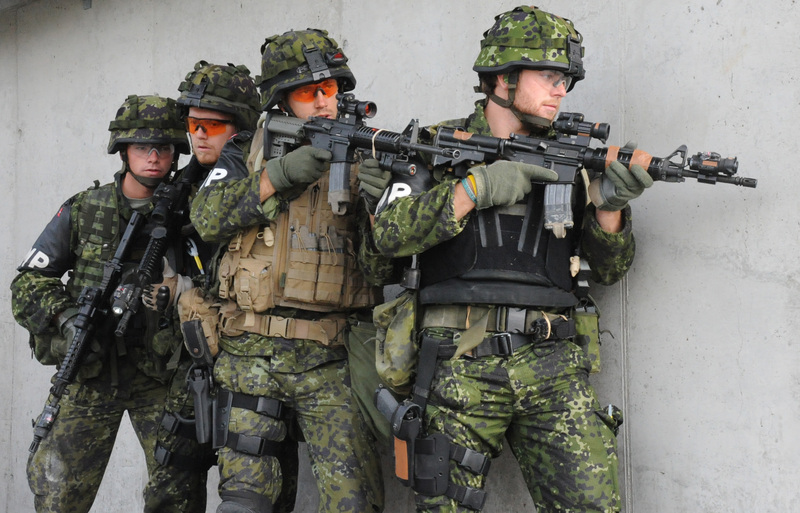 Danish Militarized Police going through a drill. The one thing that makes the State (civil government) different than these other clear, defined governments, is the power of the sword that the State wields. The State has literal armies of bureaucrats, police (now militarized), and the military, and with this power backing them, they’re able to steal, kill, and destroy, and keep people down. They have no power to grant wealth to someone (welfare) without taking away something from another (theft). They also claim to be in control over the other forms of government (self, family, church), and claim ownership over your body (conscription), and property (property taxes) in total disrespect of family or self government. So, there are other governments to turn to. We don’t need the state. Civil Government can easily be replaced by self, family, or church governments. We don’t need a small few, with flawed, human characters with unlimited power over the vast hen-coop of society. And, when this idea, which has been suppressed for thousands of years, surges with sudden realization like fire through the mental cords that bind the potential human action of untold billions of human beings, we will once again find that war and unwarranted violence of the State, will be no more. ← Should the Public School System be Funded?